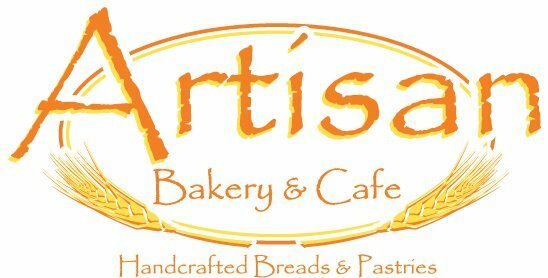 Breakfast, lunch, coffee beer, wine, baked goods, smoothies and more. The restaurant is located in the old Melodrama Theatre of the hotel and has a historical mining theme. It offers freshly made, wholesome American-Style Cuisine including steaks, seafood, sandwiches, salads, nightly fresh fish specials, vegetarian choices, gluten-free options and as many locally-sourced ingredients as possible. You can choose from one of the Western Slope’s largest wine selections with over 300 vintages from around the world. This is a local favorite! Long time executive chef, Tim Eihausen, and Chris and Taryn Lee are carrying on the tradition of this long standing restaurant. Come visit us for an incredible meal! For a great dining experience try Buen Tiempo, a Colorado Mexican restaurant. They serve the best Mexican food and margaritas this side of Santa Fe! Located in the newly renovated Scott-Humphries-King building next to the historic Beaumont Hotel in Ouray, CO, the Buen Tiempo boasts a magnificent bar and dining area and patio seating during the summer months. Since the St Elmo Hotel is nearby, you may want to take advantage of one of the special lodging packages that includes dinner for two at Buen Tiempo, a great opportunity to give the restaurant a try. Excellent breakfast, brunch, lunch and dinner with a creole twist. 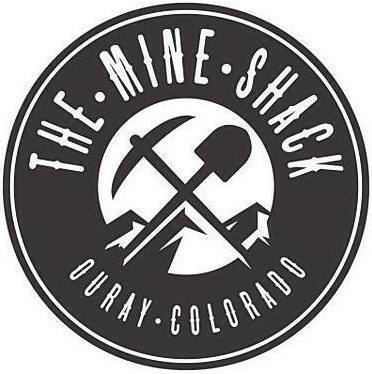 Coachlight Restaurant and Tavern pays tribute to the mining heritage of Ouray, western culture, and Colorado. There are two separate areas, a sports bar upstairs and family dining on first floor. We have outdoor dining on the patios located upstairs and downstairs for those looking to enjoy the outdoor experience Ouray provides. It is a family friendly environment for all and gives the sports bar feel to fans of all ages. 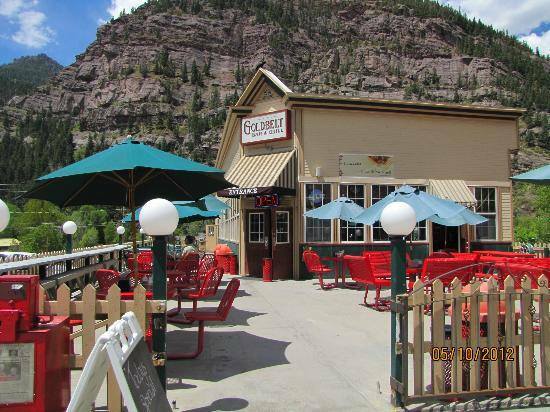 The Goldbelt Bar & Grill is a family friendly and affordable restaurant in beautiful Ouray, Colorado. The menu is extensive offering everything from a delicious cheese burger or pizza pie, to a variety of tasty gluten free and vegan options. If you are looking for a spacious patio to enjoy a great meal and the beautiful San Juan mountains with family and friends, or sit inside the newly renovated indoor bar and seating area then the Goldbelt Bar & Grill would be the place for you! Located in Colorado’s incredible San Juan mountains, The Historic Western Hotel can accommodate you and your party for weddings, receptions, reunions, catering, parties, or any special occasion. Rent the entire hotel for your private party.Join us for dinner, open every night may through October. Come experience our 1891 historic saloon with “Face” on the Barroom Floor.The Hotel is open all year. Lodging-Dining-Receptions-Jeep Tours-Snowcat Tours-Snow Mobiles. Come in for Brews and Food! Everyone is Irish! 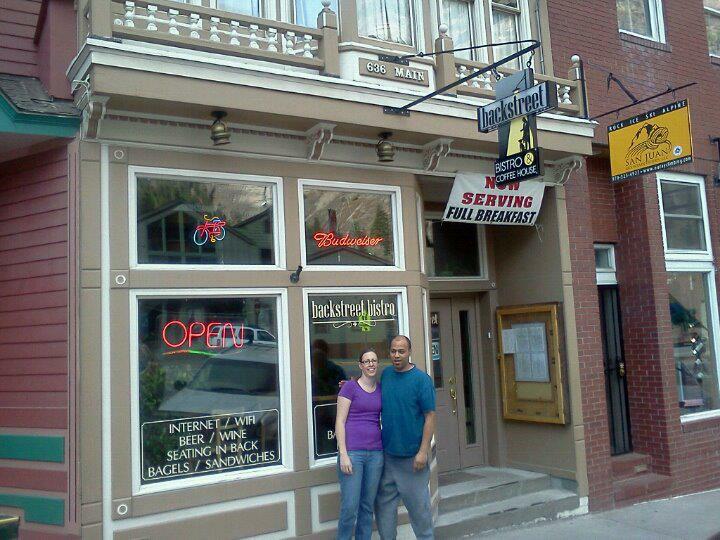 Our restaurant & pub, in downtown Ouray, is the place for great beer, great food and awesome rooftop views. We specialize in steaks, seafood, and pasta. Come enjoy a drink where “The Duke hung his hat”. 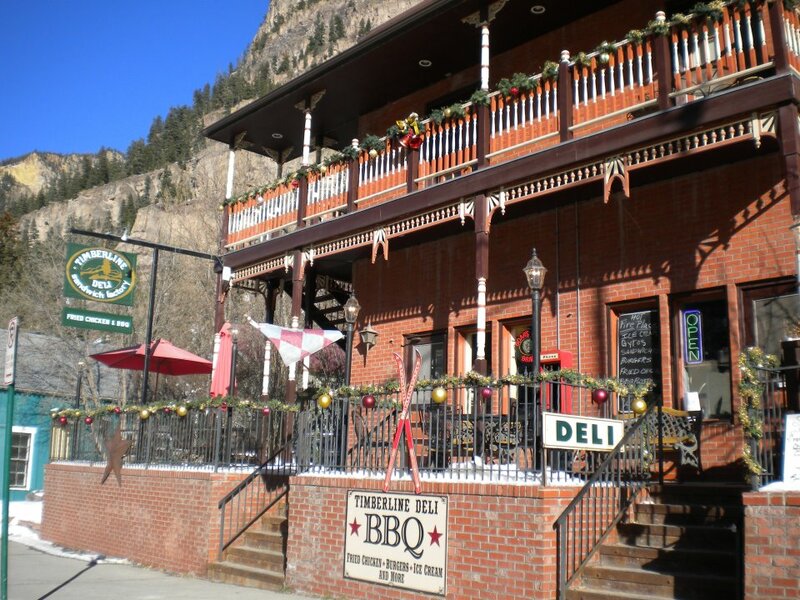 Located on Main street at the north end of town in Ouray, Colorado. Serving nothing but the freshest homemade foods, including soups, salads, sandwiches, desserts and much more!